As noted over on the Models of Authority site, the project team there was represented at Digital Humanities 2016 in Krakow. 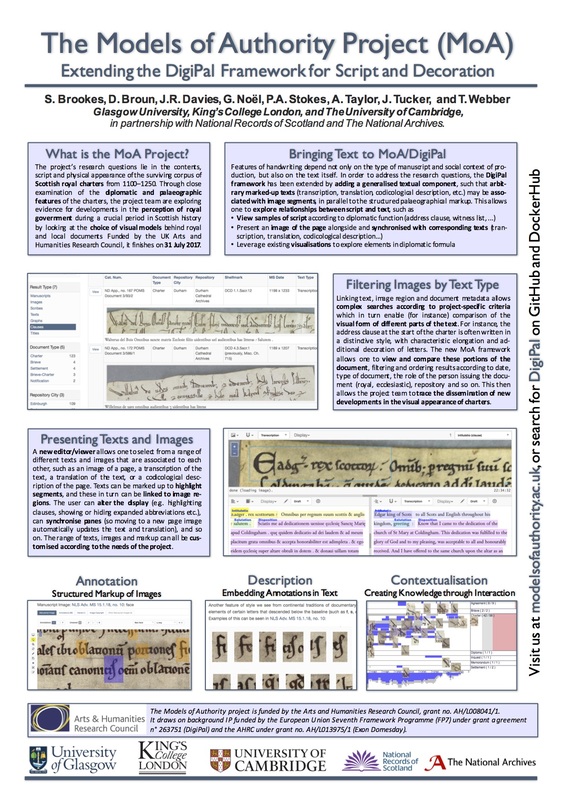 We presented a poster showing how the DigiPal framework has now been extended to include texts alongside images, and the texts themselves can be marked up according to project-specific schemas in order to allow searching by type of text as well as palaeographic feature. The full abstract is now published online, and the accompanying poster is embedded below. A high-resolution version in PDF is also available by clicking on the image (3.77 MB).